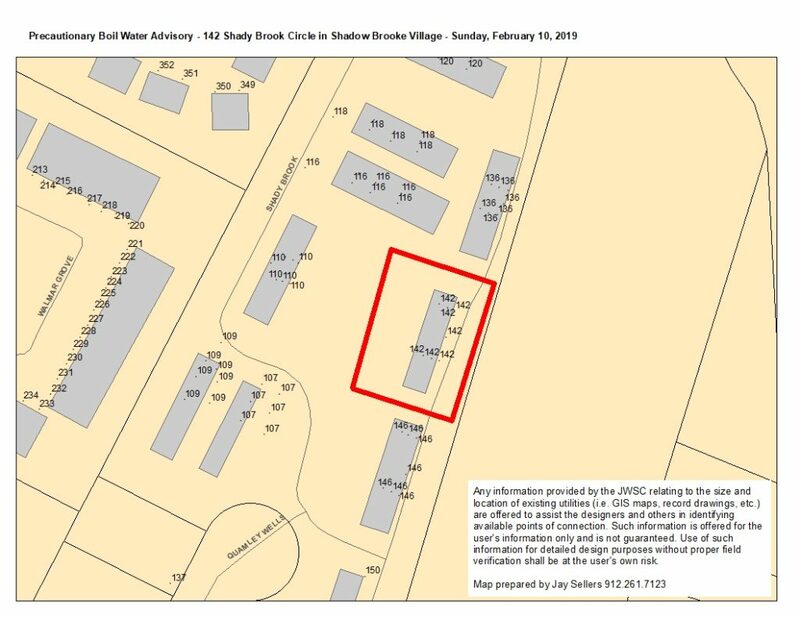 The St Simons Island water system lost pressure to resident of 142 Shady Brook Circle on Sunday, February 10, 2019 due to an independent contractor digging into a 2″ water main. Following the completion of the repair, BGJWSC lab personnel will collect water samples for testing. This testing, which will take between 18 and 24 hours, should be completed the afternoon of Monday, February 11, 2019, at which time an all-clear message will be posted. Though the water pressure loss was isolated to building 142, any adjacent building that observed a complete loss of pressure is advised to adhere to this precaution as well. As soon as pressure can be restored to the distribution system, our water lab personnel will take water samples that will be fully evaluated over the next eighteen to twenty-four hour period following the repair of the main. Once we have determined that there is no longer a threat of harmful bacteria in the water, we will inform you that you are no longer required to boil your water by posting an update here on our website: http://www.bgjwsc.org. This entry was posted in Boil Water Advisory on February 10, 2019 by Jay Sellers.